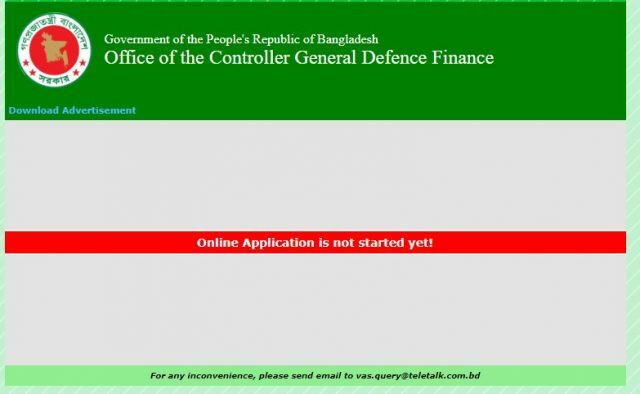 Controller General Defence Finance (CGDF) Job Circular 2019 is available here for Download. 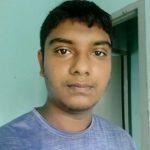 This is the best Government Job Circular in Bangladesh. All the Eligible Candidates can apply to this Job Online. Total of 31 Job Vacancies is available. Total Job Category (Post) is 3. Online Job Application will start on 15 April 2019. The Application will close on 05 May 2019 at 05:00 PM. The Official Job Circular PDF is available on this Post and also we have added the Official Advertisement of Controller General Defence Finance. You can download the Circular from cgdf.teletalk.com.bd. Just Visit this Website and then Click on the Advertisement Link. Download Official Job Circular of CHDF which published on 11 April 2019. The Authority informed that Eligible Candidates can apply from 10:00 AM of 15 April 2019 via Online. The Application fee can pay only from Teletalk Prepaid Mobile Phone. So, if you have Teletalk Prepaid Mobile Phone, you can now submit your Application easily at Online. Today, More than 4 Government Job Circular has published in Bangladesh. We recommend you to read these from the below-related post or visit our homepage and see the Government Job Category. Contact us anytime if you need any help.